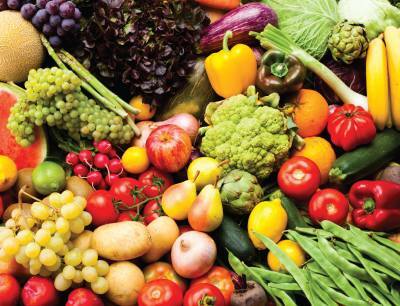 Increased intake of fruits and vegetables may have renal benefits in CKD patients. More than 60 million Americans are in some stage of chronic kidney disease (CKD). Therefore, it makes a lot of sense to direct nutrition interventions toward prevention or delay of progression. A key modifiable characteristic that contributes to CKD is hypertension. Use of a multi-disciplinary approach, with a strong emphasis on nutrition by a registered dietitian, to reduce blood pressure (BP) could be very cost efficient for the health care system as a whole. The Dietary Approaches to Stop Hypertension (DASH) diet concept may be an excellent way to do this. Both the DASH and Premier studies were positive trials that demonstrated the effectiveness of dietary changes on BP control (N Engl J Med 1997;336:1117-1124 and JAMA 2003;289:2083-2093). The difference between the DASH and Premier trials is that DASH was a controlled feeding trial whereas Premier was a comprehensive lifestyle behavior trial. In the DASH study, Appel and colleagues executed an eight-week clinical trial in which individuals with prehypertension or stage I hypertension were placed on a diet rich in fruits, vegetables, and low-fat dairy products. This type of diet is rich in calcium, magnesium, and potassium. Meat products were also low in fat, and grains were whole wheat. Subjects in the DASH diet were provided food and thus did not have to make major behavioral changes. While this study demonstrated that the diet was effective, it did not show whether individuals who were taught the concepts could in turn be successful in lowering BP. The subsequent Premier study did show that individuals could be taught the DASH principles and experience significant reductions in blood pressure. Initially, one might be hesitant to adopt the DASH concept in individuals with CKD because a diet rich in fruits, vegetables, and dairy products would contain a lot of potassium and phosphorus. However, in the early stages of CKD, potassium and phosphorus content are not an issue per se, as those nutrients are not restricted until stages 3 and 4. It is worth noting that individuals on ACE inhibitors for hypertension should have their serum potassium monitored systematically as these drugs are potassium sparing. Furthermore, there are benefits to diets rich in fruits, vegetables, and whole grains besides BP lowering, including reduction in the albumin excretion rate (AER) and decreased risk of kidney stones. Jacobs et al. (Am j Kidney Dis 2009 53:638-646) used frozen urine from subjects who participated in the DASH diet study to determine whether AER could benefit from a DASH diet even though protein was not reduced. The study looked at three groups: the DASH diet group with 18% of energy from protein, 57% from carbohydrate, and 25% from fat; the fruit and vegetable group with 15% of energy from protein, 49% from carbohydrate, and 36% from fat; and the control diet with 14% of energy from protein, 51% from carbohydrate, and 36% from fat. The fruit and vegetable group was rich in fruits, vegetables, whole grains, and nuts and reduced in refined grain but otherwise similar to the control. The DASH diet was even richer in vegetables, whole grains, and nuts, had decreased meat, poultry, and fish, and eliminated whole milk and added low-fat dairy foods. After eight weeks, the researchers observed no significant changes in AER; however, a significant interaction was found in subjects with an AER of 7 mg/24 hour or greater. In subjects with the higher AER at baseline, AER at eight weeks was lower in participants eating the fruit and vegetable diet compared with those on the DASH or control diets. The results of this study may indicate that for patients further along in the progression of CKD, protein control in addition to greater intake of fruits, vegetables, and whole grains may be beneficial. Another study investigated the impact of a DASH-style diet on kidney stones. The theory was that diets high in fruits and vegetables increases urinary citrate. Citrate is an inhibitor of calcium stone formation. Furthermore, diets with moderate to high calcium content in conjunction with low animal protein and sodium can decrease the risk of calcium oxalate stone recurrence by 51% (N Engl J Med 2002; 346:77-84). However, the DASH diet is high in both vitamin C and oxalate, both of which contribute to kidney stone formation. A study by Taylor et al. (J Am Soc Nephrol 2009;20:2253-2259) demonstrated the positive benefits of the DASH-style diet by creating a DASH score. The DASH score is based on eight components (high intake of fruits, vegetables, nuts, legumes, low-fat dairy products, and whole grains, and low intake of sodium, sweetened beverages, and red and processed meats). In summary, the DASH-style diet rich in vegetables, fruit, and whole grains is a nutrition intervention shown to lower BP, reduce AER in patients with AER greater than 7 mg/24 hours, and reduce the risk of kidney stones, all important factors when trying to prevent or delay the progression of CKD in at risk individuals.